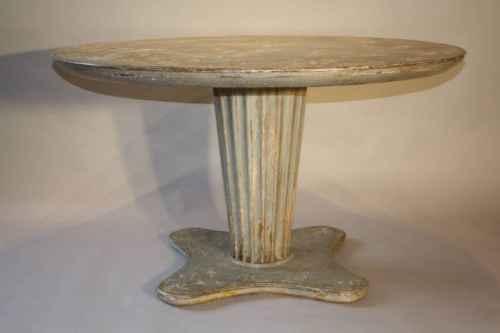 French 1950`s grey/blue painted circular pedestal dining/centre table. A very unusual and stylish French 1950`s design. The grey/blue paint distressed effect is original to the design. Would work either as a centre table or as as dining table to seat six people. Such a stunning interior piece - you will never find another one like it!